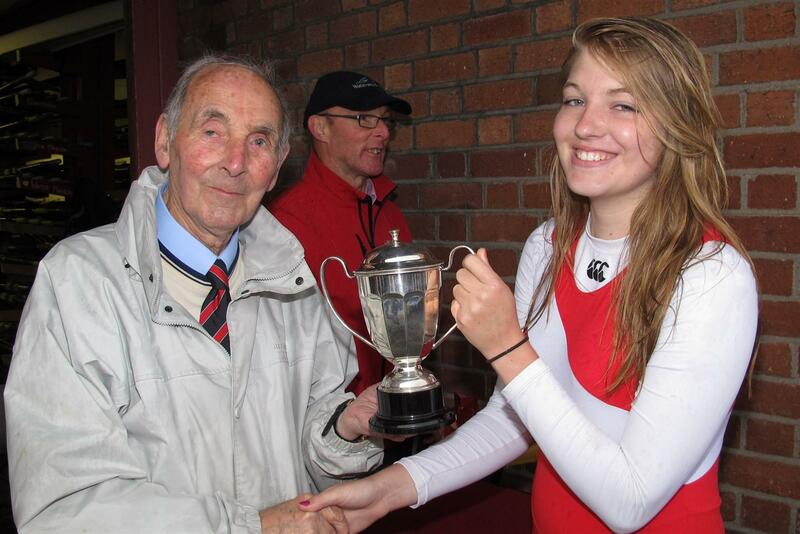 Excellent wins for BANN at Neptune Regatta. Leaving Coleraine at five in the morning , for Dublin with a trailer stacked with boats, was no deterrent for Bann Rowing Club as their 2012 Regatta season kicked off down at Neptune. In the very first race of the day Bann’s men junior 15 coxed quad. got the Club off to a winning start against Methody and this was quickly followed by their mighty minnows, their men’s J14 quad. recording a completely unexpected win to the delight of their coach Christopher Mitchell, over a well drilled Commercial crew. In a very exciting day’s racing some very exciting races occurred and none more than the clash of two Bann men in the semi-final of the men’s J18 sculls. Friendly rivalry between training partners John Gordon and Matthew Yarnold, was now going to be sorted once and for all. All week long the whole Club had pondered over who would win, with the predictions split evenly. Matthew started very powerfully and maintained his lead by a length until well over halfway. Approaching the last 200m ,John seemed to have committed racing suicide with some very dodgy steering but amidst all the cheering coach Seamus Reynolds noticed that John had whacked up his rate to over 40 strokes a minute and the gap closed and closed. With only two strokes to the finish John just got into the lead and this dramatic race was over. In the final John won another excellent race against Waterford to achieve a very fine and richly deserved MJ18 sculls overall victory. Ladies coaches Karen Bones and Alison Hodgkinson were delighted to see good quality wins over Carlow and Athlone as the Bann crew full of debutants, won the Ladies J14 coxed quadruple scull event. 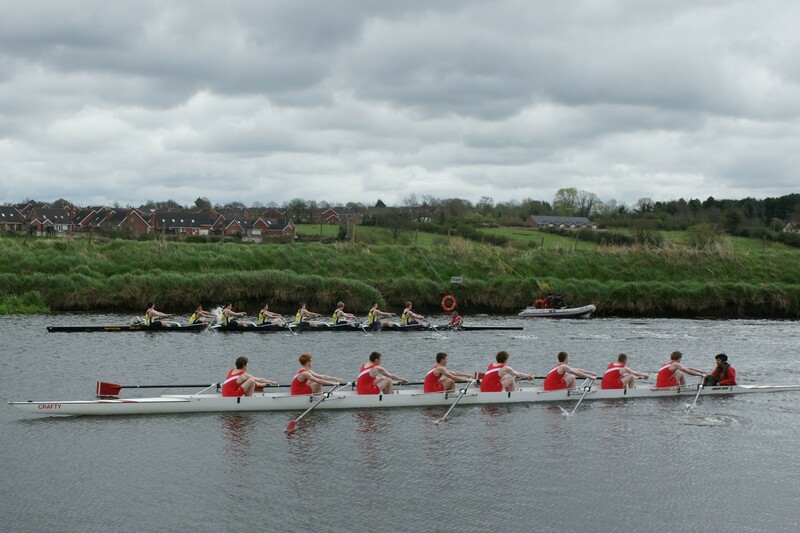 Their Ladies J15 quad then also recorded another good win over a strong Carrick crew. This set the Bann Club up well for the Men’s seniors to venture into the unknown by competing at Intermediate level , despite all except two of the crew being aged eighteen or under. Returning to Bann from University, the comeback kid, “Ciaran Boyle” had last rowed for Bann with Olympian Alan Campbell and current GB World Champion Peter Chambers, in a winning Carlingford Cup eight, and he wanted to keep his proud record of never having lost a race in a Bann eight intact. Well, the manner which Bann eight won the Intermediate final against Carlow was so impressive that many Bann supporters were asking was this the fastest Bann eight ever. Time will tell but again in the men’s Intermediate four’s competition the Bann men recorded huge victories against Methody and Neptune that it will certainly make very interesting crew and category selections throughout the season. 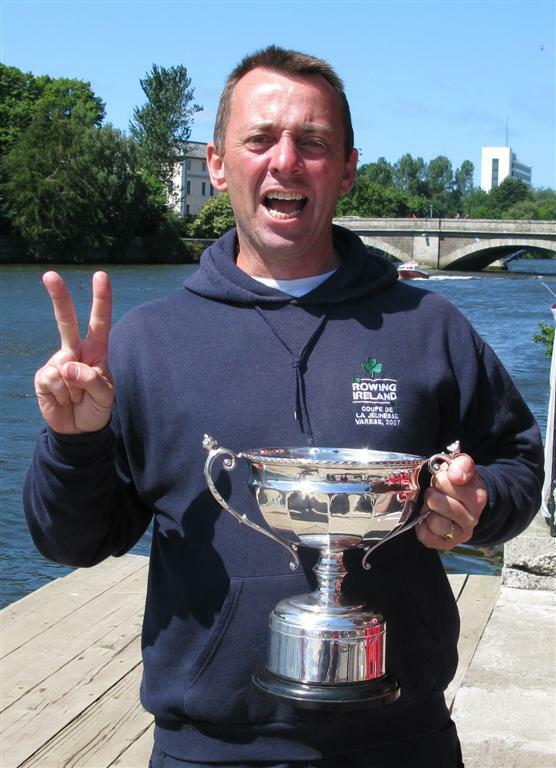 Coach Seamus Reynolds was quick to point out that he was also very pleased to see his young J18 coxed four row extremely well, in their unique Bann style and technique, when defeating a much bigger, and older Commercial crew. Bann’s next regatta will be the Queen’s regatta at Castlewellan. The Club Captain Keith Leighton announced that the very popular “rowing for beginners” classes were starting again on Friday evenings at 5:30 at the Bann Boathouse.